For what’s best described as a long weekend, I’ve been lording it about at Sheffield Doc/Fest — a haven for documentary lovers and fans of linguistic contraction alike in Britain’s third most populous city. I’ve seen half a dozen documentaries during my stay, and spent a similar amount of time ruminating (as is my wont) on the nature of documentary as a medium. There’s something very revealing about immersing yourself so fully in one area of filmmaking; free from the distractions of comedy, drama and psychosexual arthouse thriller, the strengths and weaknesses of documentary are brought into sharp relief. Not to mention the civil war that rages on in the discipline between form and function. The Big Melt sits at the more experimental end of the medium. Comprised entirely of BFI archive footage of the steel industry and its surrounding communities, the film is non-narrative and features no voiceover, telling its story through the alchemic blend of film and music alone. The music in question comes courtesy of a wildly engaging score performed live at the festival by Jarvis Cocker, other members of Pulp and scores of guest musicians, including a full-scale marching band. Employing compositions as diverse as the Human League’s Being Boiled and John Cameron’s score from Kes, the live performance was impossible to take your eyes off, which didn’t bode well for the often mundane footage it was soundtracking. So uneven was the balance between audio and video that The Independent later reviewed the night in its gig section. It was hard to shake the feeling that form had steamrollered function out of all significance. 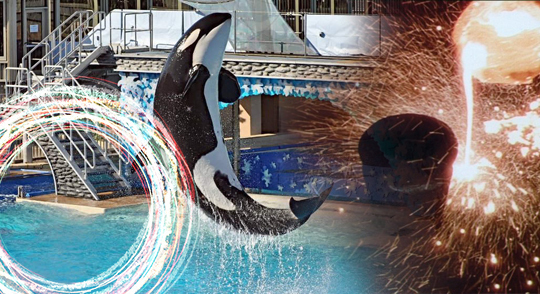 Located on the opposite end of the spectrum, Blackfish is a decidedly straightforward exposé doc about the mean ol’ suits at SeaWorld and their insistence on keeping cute ickle killer whales hostage in the gaudily surreal amphitheatres of torture and commerce that they operate up and down the American coast. 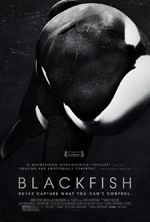 With its emotionally-prescribing soundtrack and Michael Moore-style ironic repurposing of corporate branding, the film appears to have been spat out of the same auto-outrage documentary generator that gave us The Cove and Bully. It makes a clear point and tells its story in plain terms, but without a style of its own, feels as incomplete as its Cocker-fronted antithesis. One film that at least attempts a balance between form and function is Particle Fever, most likely the definitive documentary on the Large Hadron Collider. The film was bestowed the poisoned chalice of being edited by Walter Murch, whose work here — brisk, stimulating and informative — brings the lengthy search for the Higgs particle to life, but highlights just how little material he had to work with. Often the footage he’s tasked with assembling is incomplete, inadequate or entirely out of focus, forcing him to substitute certain sections with (admittedly spectacular) animated sequences. As a whole, the film works well stylistically and as a piece of storytelling, but it seems to do so in spite of itself. 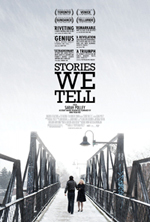 Not present at Doc/Fest but hopefully a better indication of documentary’s future is Sarah Polley’s Stories We Tell, perhaps the most organic, transformative meeting of form and function I’ve seen this year. A hugely rewarding insight into a deeply personal chapter in Polley’s own family history, the film’s narrative odyssey is perfectly mirrored in its experimental style, which refuses to fully reveal itself until the closing moments. It’s everything documentary can and should be. Perhaps it’s not fair to ask every spare killer whale exposé to live up to such standards, when I don’t expect The Purge to live up to The Shining (on the other hand, maybe I should). But spending a weekend exclusively in the company of documentary does make you wonder why anyone lucky enough to be working in the field would ignore the myriad possibilities it presents.